Hello from Bali and welcome to my coconut blog! I am so excited to introduce you to this project that is very dear to me. Coconuts are some of my favorite things in the world and I keep finding more reasons to love them. Their amazing taste, health benefits, versatility and sustainability make them a real natural gem – pure coconut love. On this is coco I will share all my coconut findings with you. 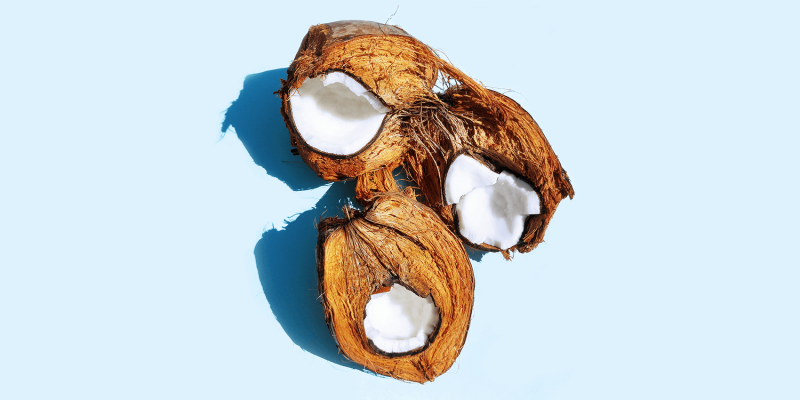 Delicious, plant-based coconut recipes, natural beauty treatments, DIY cosmetics, interesting coconut resources and cool infographics. Everything on this site is created by me, from the recipes to the illustrations, designs, photography and articles. I love hearing from you, learn about your favorite coconut uses and what you’d like to see on this is coco in the future. 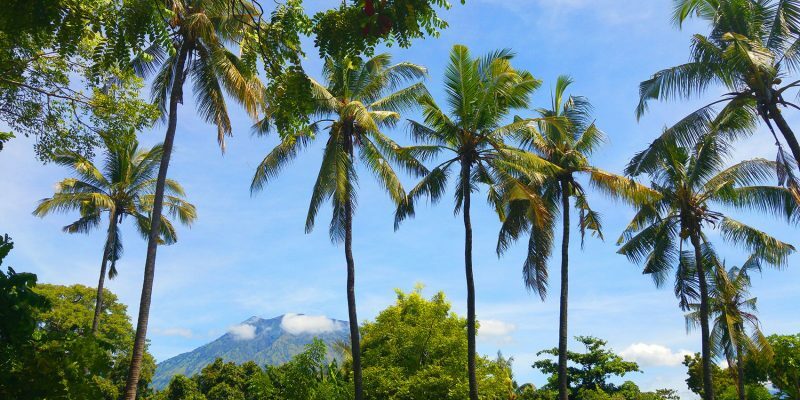 At the time of this website’s launch I find myself in one of the most amazing places and the number one producer of coconuts in the world: beautiful Indonesia! Everything about my stay here has been absolutely fantastic. The stunning nature, the warm, sweet people, some of the best food I’ve ever eaten, amazing weather and beautiful, laid back energy. And there are coconut trees everywhere. I am preparing some interesting posts for you about how to make cold-pressed coconut oil, videos on how to open coconuts and more coconut love straight from Bali. Do you know that feeling when everything just feels right and your heart is filled with pure happiness? That is discovering magical Bali on the scooter with my favorite guy. We are passing through lush jungle and cute villages, seeing Hindu ceremonies, smiling people, beautiful kids waving at us and naughty monkeys playing with dogs. To finish up with a delicious Gado Gado and fresh coconut water. The food, the fruit..did I mention those amazing flavors and scents? Thank you Indonesia, for all your beauty and for warming our hearts. And welcome everyone to this is coco!